The history of Cambodia is tragic and thought-provoking. A country counted among one of the poorest in the world points to a culture and character that is as rich as its empire once was centuries ago. The Khmer empire no longer exists but the Khmer people take much pride in who they were, what they endured and how they heal. 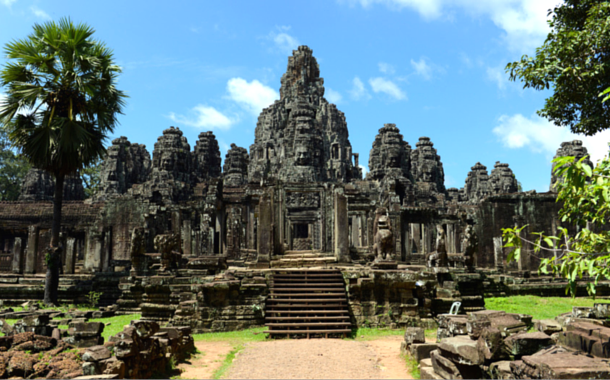 A visit to Siem Reap, a developing town that functions as a gateway into Angkor Thom – where the majestic Angkor Wat stands – tells me a lot about the country's faith in the many Gods it worships. The ruins of Angkor Wat, Ta Prohm and Bayon stand wrapped in mysteries that many have tried to unravel with limited success. We do know that the Angkor Wat was a Hindu temple but was it also a mausoleum for King Suryavarman, who erected the temple? We know that King Jayavarman VII ordered the construction of Ta Prohm but is the temple dedicated to Hindu God Brahma? Why would a Buddhist king build a temple for a Hindu God? 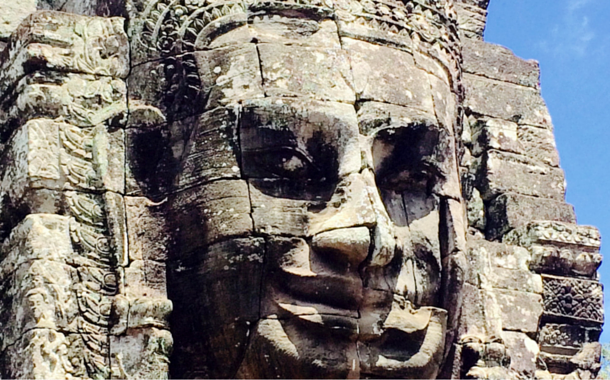 We know about the stone faces of Bayon but are they bodhisattvas or portraits of King Jayavarman himself? Siem Reap is an intriguing place riddled with puzzles. It’s also a country that has endured invasions, bombings and genocide. The urns that hold the remains of the millions who died under communist leader Pol Pot are still exhibited around pagodas. Siem Reap is also an easy place to love. Chaotic but safe, the town offers affordable shopping, diverse cuisines (including ethnic Khmer cuisine) and some very good spas with authentic Khmer massages. Pub Street is a hit with tourists at night. Various agencies rent out quad bikes to ride along roads that run through paddy fields in Siem Reap. A countryside tour helps one understand how the majority of Cambodians live. Souvenirs are aplenty in and around the markets of Siem Reap though tourists are urged to support Artisans Angkor, which trains the youth in varied vocations. Their workshops produce and sell Cambodian silk and beautiful pieces of art for profit, which is then channelized into training and more workshops. There is plenty to see and know about in Siem Reap; the tuk-tuk drivers are of immense help and so are the other locals. Before you leave for Cambodia, ensure you have a fair knowledge of the place, its history and its people. It's a place where the past lurks in every corner. So get your flight tickets and set off to Cambodia.